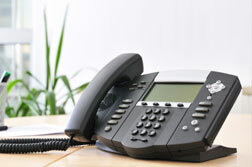 Will you switch phone systems? Does switching phone systems sound like an overwhelming project? Who to call? What system is best (that won’t cost a fortune)? And, frankly, who has time to switch when there’s already so much to do. Yes, I know it’s budgeting and strategic planning season. Plus, there’s payroll processing, employee training, and the list goes on and on. You have a lot to do to keep your business running. Relax. Getting a new phone system doesn’t have to be a burden or take you away from mission-critical work. In fact, we hear from many of our customers about all the ways switching phone systems has made doing business easier. Often, they wish they had switched sooner! Watch what our customers are sharing about their choices. 1. No upfront capital expense. 2. No ongoing maintenance and upgrades (TDS cares for it all). 3. New package and phone discounts (must act by Oct. 15 to take advantage). Click for more details about TDS managedIP Hosted (including our biggest promotion ever – which is expiring soon so you might want to hurry! Offer ends Oct. 15!). Showrooming: Opportunity or retailer’s worst nightmare? One Response to Will you switch phone systems? I guess it would depend on how many users you have, how many phones you would have to replace, and how much everything would cost. The switching phone system make the business easier from all this reasons i think.